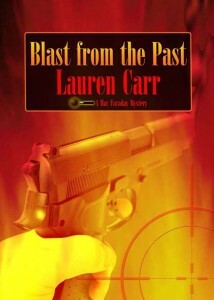 Blast From the Past was another installment of the Mac Faraday Mystery Series by Lauren Carr. The cover concept advanced quickly and WOW, the color really made the cover explode on the screen. Yet, there was a hint of darkness as well with a faded image among the fire that gave it some depth and the appropriate amount of mystery. For the full cover, click the image.